June seems to be speeding by like a runaway train. It’s interesting how busy things can be even when students are not in the buildings. As I write today’s post I’m listening to The King and I – Faith Evans and Biggie Smalls. Should make things a little funky today. Unfortunately, once the kid’s arise it’ll have to come off the turntable. Thursday night saw the third entry in the MNPS Next series. 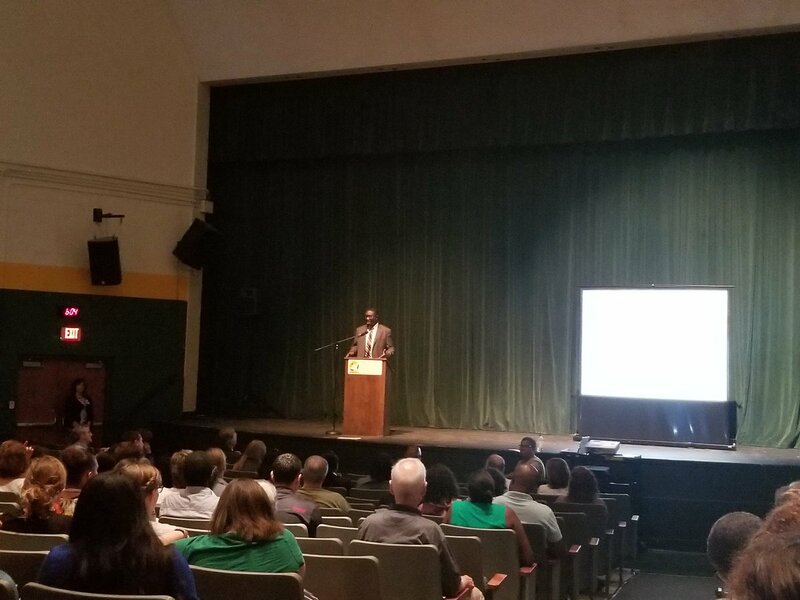 If you are not familiar with this initiative, over the past two weeks MNPS has been holding community meetings in order to gather public opinion on the future of district schools. I’ve attended two of the three events held but have refrained from commenting on these meetings until now because I didn’t want to unintentionally dissuade any one from attending. I believe the attempt to get more community input is commendable but per usual the execution and results are mixed. In my eyes the most valuable portion of the night is the small group discussion. The power of these discussion lies in the disparate mixture of people in the room. Too often we hold conversations on education issues solely with people that see the world through eyes similar to our own. We fall into the trap of thinking our life experiences are universal life experiences. The small group discussion created through MNPS next served to counter that practice. The discussions I sat in on exposed me to arguments I hadn’t considered in forming my opinions. It was brought to my attention that including Pre-K in elementary schools could potentially translate to those programs becoming more academic focused and less play based – something I’m not in favor of. I learned that private schools run on a 6th through 8th grade model. I also learned that we still aren’t clear on the difference between equitable and equal. The facilitator of last night’s group, a volunteer and community member, made a comment that in effect said, we want equitable experiences for our kids, we want all schools to be equal. The terms equitable and equal are not interchangeable. Equality speaks to “leveling the playing field” where as equity insures that those that need more, get more. When I tried to point out that equity and equality were not the same thing the response was that “diversity and equity are also not the same thing either.” A point I’m still puzzling over today. It was also presented that the disparities in our schools were highest at the High School level. I disagree and think the experiences at our High Schools are fairly equitable across the board. Note that I said fairly. I see the biggest disparity being at our elementary school and middle school level. The experience at McKissack Middle Prep is hugely different then that at West End Middle. The experience at Haywood Elementary is vastly different from that Waverly Belmont ES. I’m not trying to compliment or disparage anyone here, there are some legitimate reasons why these discrepancies exist, but I think we need to find the means to make our kids experiences more equitable across the board. 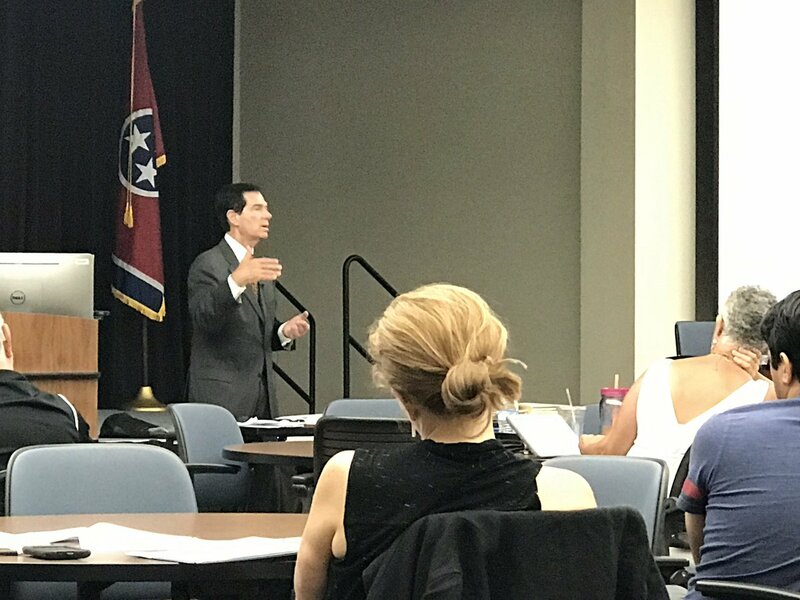 I found the small group discussions extremely valuable in this regard and I would encourage MNPS to hold more of these. Perhaps structure a night were the first half hour people break out into one small group and then after a half hour re-scramble the groups for another 30 minute discussion. I would comment more on the survey portion of the program, but that’s going to be one of our survey questions and therefore I don’t want to risk prejudicing the responses. I will comment more on Monday when I recap. Congratulations go out to Lucki Price a recent graduate of Pearl Cohn Entertainment Magnet High School. Lucki won a full scholarship to Belmont University by writing an essay on her experiences at Girls Inc., a national program that aims to inspire all girls to be strong, smart and bold by equipping them with the skills to navigate gender, economic and social barriers. The scholarship itself is provided by Be About Change, a nonprofit committed to providing higher education scholarships to students from low-income households. Way to go Lucki! This week saw another incredible EL Summer Learning Institute take place. A highlight this year was Attorney Roger Rosenthal who presented on EL students rights. By all accounts the sessions were extremely enlightening. The English Learner work that is done at MNPS is truly transcendent. 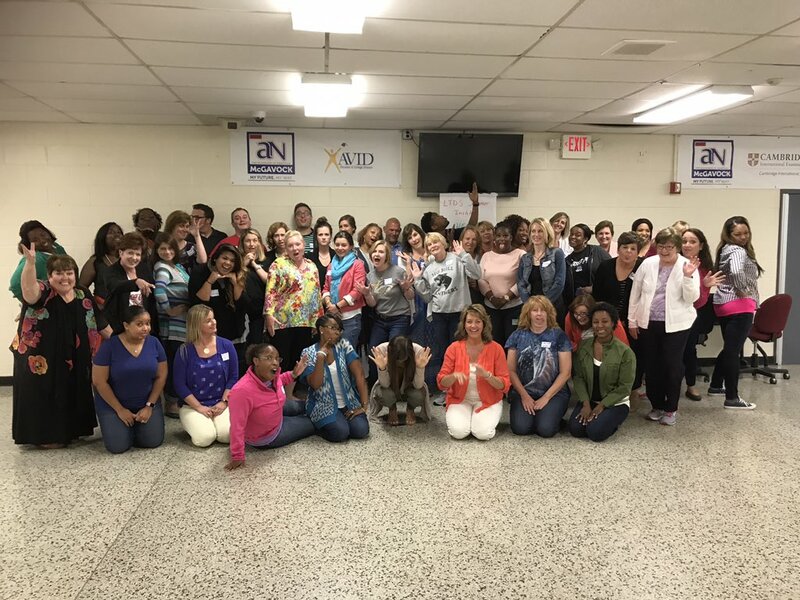 Going on at the same time was MNPS’s Excellence in Early Education Summit 2017 which brought together early childhood educators, community partners and businesses to connect and collaborate. Both Mayor Megan Barry and Director of Schools Shawn Joseph provided key note addresses. Congratulations also go to Rita Black, a music teacher at Eakin Elementary School, who is one of 10 music teachers across the country to receive the 2017 Yale Distinguished Music Educator Award. Here’s a couple rumors for you. I hear that training for the new LTDS positions has been going extremely well. I’ll be honest I don’t not what LTDS stands for other then the “L” stands for literacy and that’s my major concern. I’ve heard good things about the literacy initiative all across the board as of late. My hope is that come next April everything will be just as positive. I hear that the district plans to have all assignments complete by July 1. That includes all principal and EDDSI’s I know people are anxiously awaiting to see which cluster gets assigned to which EDDSI. All principal job’s have been filled except for Amqui and Eakin. Speaking of literacy, here’s a shameless plug for Book ’em. Book’em creates a more literate Nashville by helping economically disadvantaged children, from birth through high school, discover the joy and value of reading through book ownership and enthusiastic volunteers. Check them out and help them out. Also I would like to give a final salute to Knoxvillian Lauren Hopson who ends her tenure as President of Knox County Education Association at the end of the month. All I want to say is look up the word leader in the dictionary and you’ll see a picture of her waving at you. This week’s questions are going to be tied to MNPS Next initiative. 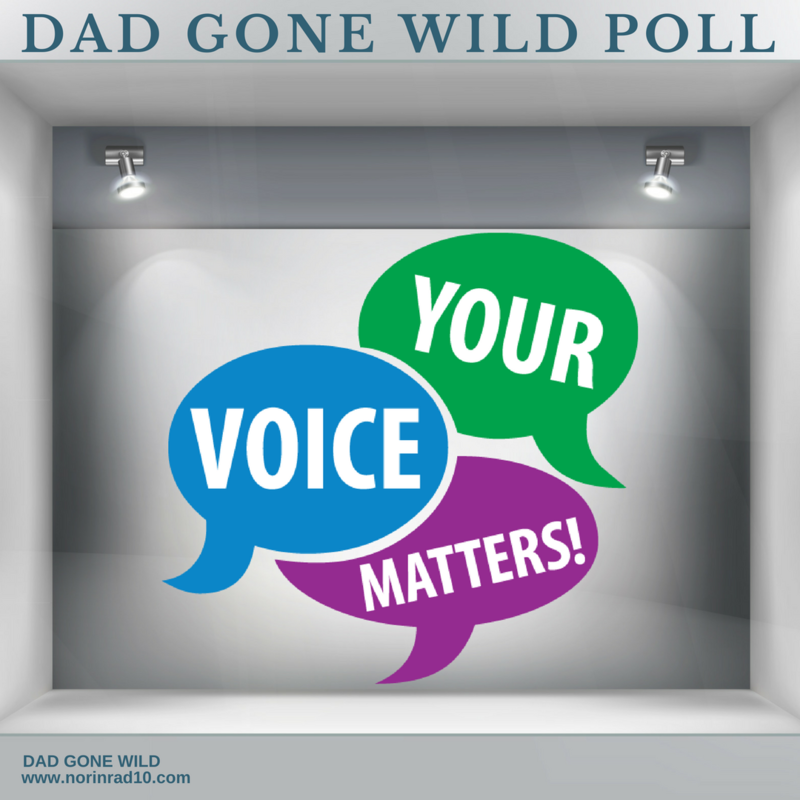 I’m curious of how many people that read the Dad Gone Wild blog post actually went to the events. My first question is how did you find out about the MNPS Next meetings. Then I would like to know what your thoughts on the poll were. Lastly, how did you feel about the small groups breakout sessions. I know not all of you will be able to participate this week but I’ll have some great patriotic questions for next week. If you haven’t read my latest entry in my Voices of Tennessee Educators series. I urge you to check it out. This time out I’m speaking with Tennessee Board of Education member Wendy Tucker. I’m pretty proud of it. Next REVIEW OF MNPS NEXT AND A LOOK AT THE WEEK AHEAD. Thanks for the shameless plug for Book’em! It was a pleasure to meet you at the MNPS Next session at Hillsboro. So glad that you have a shout out Rita Black! Her passion for quality music education extends beyond the classroom! She is also a CMA Music Teacher of Excellence, Tennessee SCORE fellow (the ONLY fine arts teacher represented in the state of TN), and a great person. She is an advocate for music teachers here in MNPS and in our State. She is not only a great music teacher, she is a great teacher leader. Many of us (fellow music teacher here!) look up to her for guidance and support in our classrooms. I feel privileged to work with her and to call her a friend. I highly encourage you to speak with Rita and conduct an interview with her so that you might educate your readers on the state of affairs in music education, especially in regards to teacher evaluations and the TN Fine Arts Growth Portfolio. Thanks again for recognizing Rita!! Stop by Paragon Mills in the next couple of weeks to see Read o Be Ready camp and EL summer program in action. I am there on Wednesdays and Thursdays making the library accessible to those students and any community members as well. Also, check into @projectLIT. Let me know if you are willing to partner with my school to participate in a book club with our students! I’d love to participate in a book club. I went to the MNPS Next meeting at Stratford this morning. I was glad that in a meeting for community input, the majority of the time was spent having us give input, answering their questions. Very different from a meeting about state education policy that I went to in the winter, with the same stated purpose, where 3/4 of our time was spent listening to a powerpoint by one of Candice McQueen’s people. The facilitator in my small group did a good job of just asking questions, clarifying, or answering factual questions, while letting us lead and staying out of things. The sense in my group was that zoned schools are struggling and need more resources and support. On the issue of moving 5th grade to elementary schools, the sense in our group was that in an ideal school system designed from scratch, 5th grade would be in the elementary schools, but that beginning where we are now, moving 5th grade would be such a huge logistical challenge that it might not be worth it. A middle school parent said she visited 6 middle schools and was impressed that the 5th graders were kept separate, but that not many parents are able to visit 6 middle schools. And that parents are having a natural protective response and trying to keep their kids young by keeping them in elementary schools, but after that transition is complete, they felt their kids grew a lot from going to the middle school at that age. Instead of making a massive investment in building additions to elementary schools to fit 5th graders, we should improve middle schools. Otherwise we’re just pushing the problem off for one year. Middle school seems to me to be where all the problems start, so we need to focus there. Someone else pointed out that the 5th graders don’t mix with the 8th graders while they’re at school, but the bus ride is when they are together without any adults around, and the 10 year olds get exposed to things they’re not ready for. So we need to improve bus supervision for middle schools.